The Budweiser Red Light is one of the best pieces of marketing I’ve ever seen. And while I’m enough of a hockey fan to want to pick up one of these anyways, the real prize is in figuring out how to make the thing go off whenever I choose. Where to get started? While I’ve seen an attempt to use/modify the Electric Imp card inside the light to accept requests, I thought my approach might be simpler: Sniff the network traffic to and from the light, replicate it to sound the alarm. Enable Internet Sharing on the MacBook Pro, and make sure you set no password or key. (At home where I have an Windows 8.1 PC, I had attempted to set up a Wi-Fi hotspot but the Red Light appeared to have difficulty getting on that network.) I named my new Wi-Fi access point “BudRedLight”. I had my Android OS smartphone join the Wi-Fi access point of “BudRedLight”, which it did without issue. In order to sniff its traffic, we’ll need to get the Red Light on the “BudRedLight” access point as well. This means installing and setting up the official Budweiser Red Lights app, and using the interesting flashing light method of sending the Wi-Fi connection details from the phone to the Red Light. Once that’s done, I left the app open on the phone, specifically staying on the screen that provided the “TEST YOUR LIGHT” button. The plan was to capture what was received by the Red Light once this was pressed. Now that the Red Light and my phone were both on the “BudRedLight” access point, it was time to boot up WireShark on the MacBook Pro (I had to start XQuartz first so WireShark would run). So we’ve got an example of the data used to set off the Red Light, but we don’t really know what’s contained in that data. Use tcpreplay, Ostinato or some other application to “replay” sending of the packet shown above to the Red Light; maybe we don’t really even need to know what’s in the packet and this will set it off. Find and use some other utility (or person!) that can tell us how to further decipher what’s in the data seen above. If you’d like to help out, you certainly can! 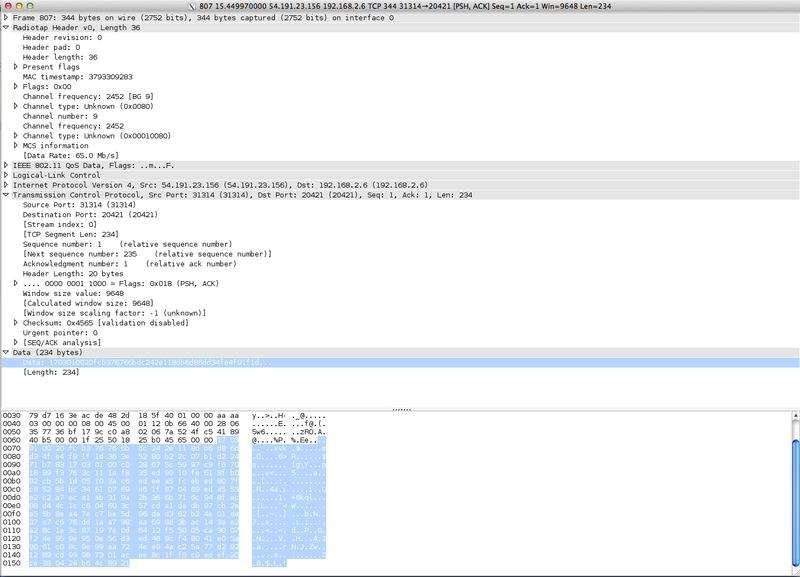 I’ve uploaded a zipfile of a PCAP file containing the packet I’ve displayed above. Feel free to try and dicipher or replay sending of that packet on your own! Please leave a comment if you do so; it’d be great to solve this for everyone. Try https://www.cloudshark.org/ You can upload the packet and it will decode it in the cloud. I’m trying to make my Red Light go off when a goal is scored in NHL on PlayStation 3.
why not just add hardware to the light to be able to turn it on and off whenever u want? 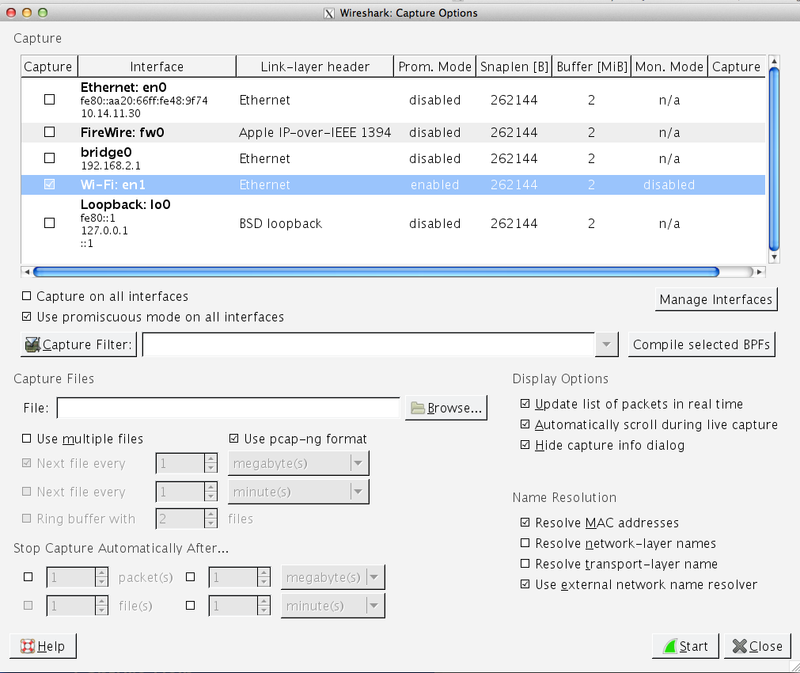 I cant sniff any packets on my network just on boot up of the imp chip i see it connecting and that is all. maybe im doing something wrong. Is there anyway to get my twitter account to get specific team goal to send out on my twitter account? Are you still working on this Budweiser Red Light project? I’ve started working on a project to emulate the Bud Red Light with a simple raspberry Pi. It works quite well and the delay depends on the stream you are using (my code allows to setup a delay after the goal has been detected). hardware setup is also detailed on the github. I have a remote Bluetooth device on ice fishing rods outside my hut where I ice fishing. They alert my cellphone that a fish has taken the bait. Can I connect the fishing triggered Bluetooth device to the REDLIGHT to let me know there is a fish on?